Fri., May 11, 2018, 9:03 p.m.
OKLAHOMA CITY – Oklahoma’s Republican Gov. 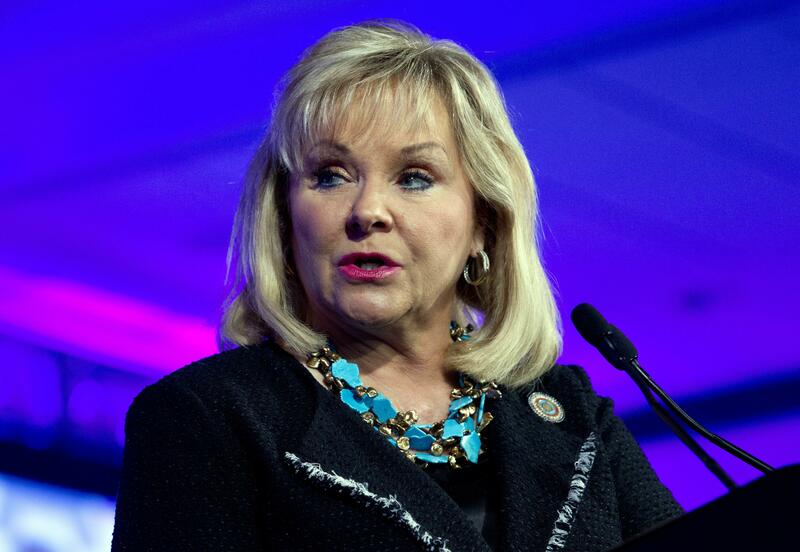 Mary Fallin vetoed a bill late Friday that would have authorized adults to carry firearms without a permit or training, dealing a rare defeat to the National Rifle Association in a conservative state. The veto comes after opposition from the business community and law enforcement authorities, including top officials with the Oklahoma State Bureau of Investigation who have said it could erode public safety. The NRA had supported the bill’s passage and had urged Fallin to sign it. “I believe the firearms laws we currently have in place are effective, appropriate and minimal,” she said. But she added that the bill would have eliminated the requirement for a training course and reduced the level of background checks to carry a gun. The bill is similar to so-called “constitutional carry” legislation adopted in a dozen other states. It would have authorized people 21 and older and military personnel who are at least 18 to legally carry a handgun, either openly or concealed, without a state-issued license or permit. The state currently requires a license to carry a handgun openly or concealed. The NRA issued a statement in Washington blasting Fallin for what it was going back on her commitment to support such a gun carry law when she ran for re-election in 2014. The state bureau of investigation, which issues handgun licenses, had opposed the bill, saying it would cost the agency about $4.7 million annually and result in the loss of about 60 full-time positions. Many business leaders, including local chambers of commerce, also opposed the bill, giving the governor – who cannot run for re-election under term limits – plenty of political cover to veto it. The Legislature already has adjourned its session so lawmakers will not be able to revisit the issue until next year after the election of a new governor. The hot-button issue of gun rights energizes Republican voters, particularly those in Republican primaries, said Trebor Worthen, a Republican political strategist. Several Republican candidates to succeed Fallin as governor urged her this week to sign it. Fallin has vetoed gun bills before. In 2014, she vetoed a bill requiring state authorities to sign off on applications for federally-regulated items such as silencers, short-barreled rifles and automatic weapons within 15 days. But the Legislature overrode her veto and the bill became law anyway. In 2015, she vetoed legislation that restricted businesses from banning guns at parks, fairgrounds and recreational areas, a veto that remained in place. Published: May 11, 2018, 9:03 p.m.